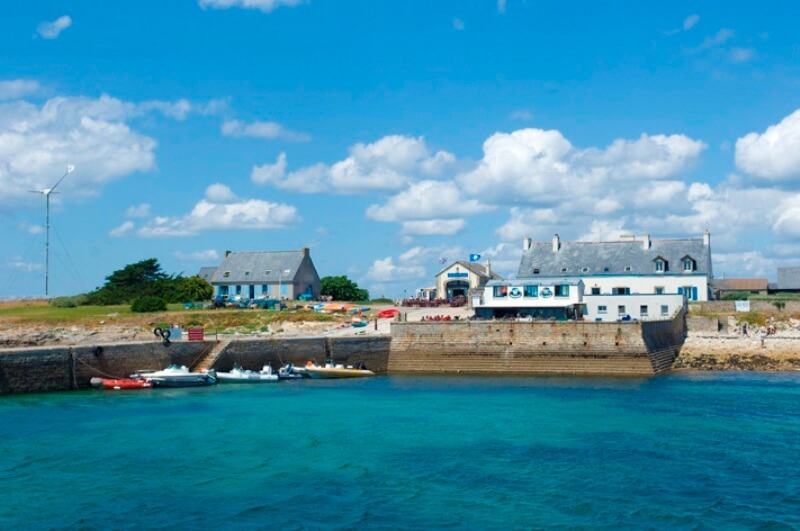 If you come to South Finistère, don’t miss the Glénan Islands ! Just imagine clear blue water, white sandy beaches, sea birds and peaceful landscapes …It sounds like the perfect setting for a wonderful day out with family or friends, isn’t it? We think so! 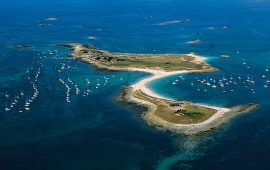 From April to September, choose your departure date and sail from Bénodet, Concarneau, Loctudy, Port-la-Forêt or Beg-Meil to Saint Nicolas Island, the main island of the archipelago. We guarantee that you will find your own little piece of paradise in the Atlantic ocean! By choosing this option, be sure to live a memorable day! 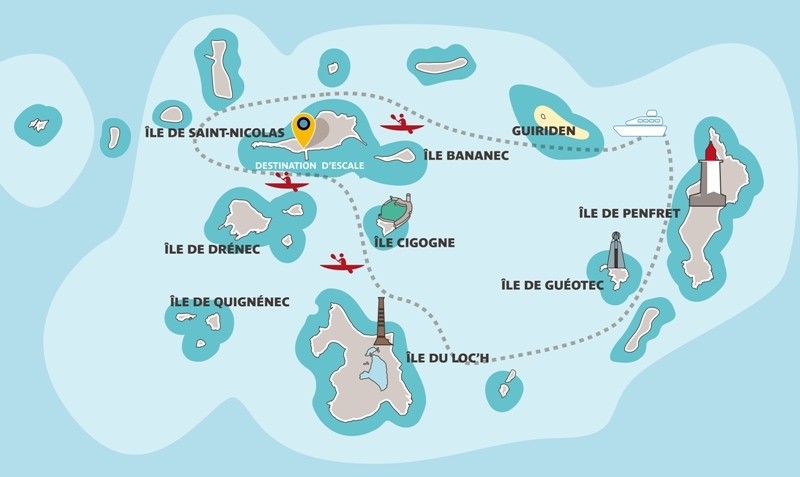 After a free stop on the main island Saint Nicolas where you will have enought time for picnic, walking around the island by the path and enjoying the beaches; You get onboard on the afternoon for a large commented cruise around all the Glénan Islands with a passionate guide. The fauna, the flora, the navigation, the fishing, the historical anecdotes … these islands with the taste of paradise will hold no secret for you! Bring your camera to keep it all ! If you want to learn more about sea life without diving, choose the exploration aboard the “Capitaine Némo” submarine‑vision catamaran option ! 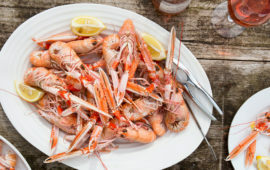 This unik opportunity on the French Atlantic coast propose by the sea company Vedettes de l’Odet will surprise you ! Your adventure begins with a free-time stop-over on the main island of Saint Nicolas. Then, you board the “Capitaine Némo” for a full guided tour of the archipelago and you go on the glazed bottom living room. From the comfort of the underwater viewing deck of the catamaran, discover the amazing sea life with a talented specialist of marine wild life. Only in July and August. Have you ever lived one of your childhood dreams? Come on, make one come true! Cross to the Glénan islands on an ancient sailboat, the three masted “Corentin”. Interact with the skippers and share a great experience. The pleasure of sailing on this boat is unreal and the experience exhilarating! Departures from Concarneau from June to August. You like Freedom, landscapes, change of scenery and blue clear water? Put yourself Out! 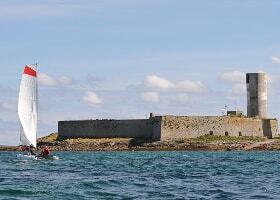 Rent a kayak and discover the Glenan’s archipelago, full emotions and feelings. Only on july and August. With the Getaway option you sail directly to Saint Nicolas, the main island, to spend a day or an afternoon on the beach during your stop-over. Nobody lives on the island, so you will find only two bars/restaurants and few houses. Crystal clear water, white sandy beaches: you’re in paradise! Just enjoy it.